The Motorola DROID X 2 obviously loves the attention of the camera - even though it's not permitted to do so, this unannounced handset has participated in yet another photo session. 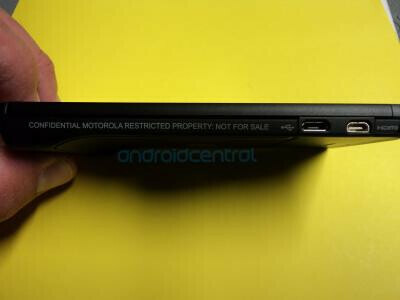 As you surely know, it has been already caught not once, not twice, but thrice posing for the camera, and now we have some additional photos showing-off the successor of the mighty, mighty Motorola DROID X. In all honesty, there is nothing visible in these images that we didn't know already - it has an 8MP camera capable of recording HD video, dual-flash, HDMI port, and, obviously, it's an unmistakeable DROID. 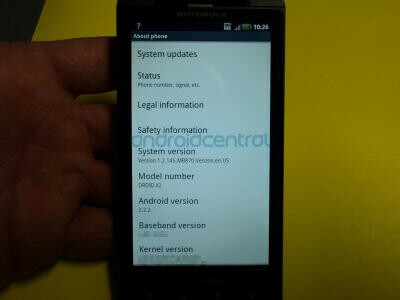 At the moment it's running Android 2.2.2, but the rumor mill claims it may be powered by Gingerbread when it's released. The latest leaks about this phone speculate it's to have a dual-core 1GHz processor (others say it will sport a 1.2GHz single-core one), a 4.3-inch qHD display and 768MB of RAM. What pretty much everyone seems to agree with is that it will be launched in Q2 of 2011 for Verizon and it won't be LTE-enabled. 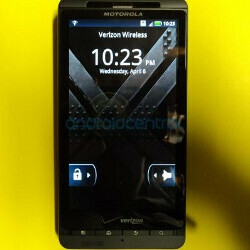 Is this a worthy successor of the Motorola DROID X? 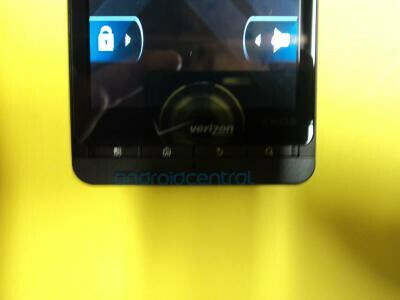 I thought the droid x2 has the tegra brand on the back. 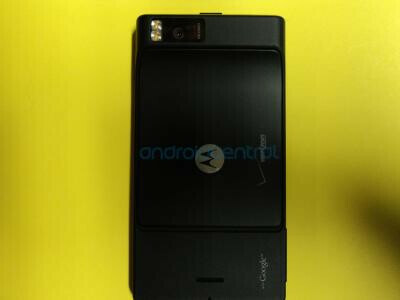 This just looks like a rooted droid x. What's so different about this phone than my current Dx? I'm failing to see the point. Now I can see why Apple makes a lot of money. They put nothing but the best out when it comes to launche a new producing. I thing that of those so called CEO need to learn from Apple so they can stop putting the same shot out over and over. They don't put out the best. They have loyal fans that aren't knowledgeable as to what is the best. While other manufacturers are building 4G...Dual Core processors, Apple has a good display and an icon system simple enough for it's simplistic fans to use. Get your tech facts straight and stop being another dumb sheep. lol trollin much? i agree with you though Darth. :) even if the iPhone 4 is pretty to look at when it's off. . . The Swiss Army Phone includes two cutting blades, nail clippers, bottle and can openers, a corkscrew, a cigarette lighter, a programmable automobile keyless entry system with remote start, two small flares and a syringe of epinephrine. "Yeah, but wheres the dual core and 4G??? SWISS ARMY SUX!!!" OMG! IF ANYTHING THE DROID X2 IS TO THE X AS iPHONE 3GS IS TO 3G! phonearena is messing with everyone! did no one think this could be a X with the a new gingerbread update? Im looking at my X now and they are exactly the same. They also got rid of the camera hump. But there's no excuse for a device that's not 4G straight out of the box, unless you're going to slash the price. The camera hump is still there. The person is just holding the phone by it and it's lost in the shadow.